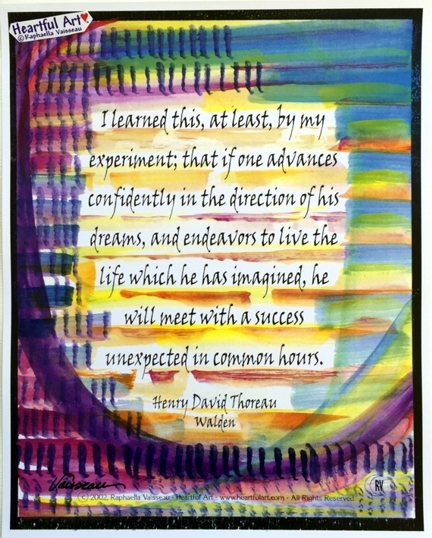 11x14 poster of HENRY DAVID THOREAU's inspirational quote from Walden with art by Raphaella Vaisseau. This is the full quote from which the popular sayings "Go confidently in the direction of your dreams" and "Live the life you've imagined" were extracted from. Keep going. Advance confidently. Discover something new. Follow your dreams. Believe that your thoughts are powerful tools for manifestation. Use your imagination to create the life of your dreams, and live the life you've imagined.